Love Star Trek? Show your fandom by wearing this pin of Kathryn Janeway, Captain of the Voyager and Vice Admiral at Starfleet Command. From Fansets comes a set of highly collectible pins that includes all your favorite characters from the Star Trek Universe. Collect Janeway and all your other favorite characters in pin form (sold separately)! The pin makes the perfect addition for anyone's collection or outfit. 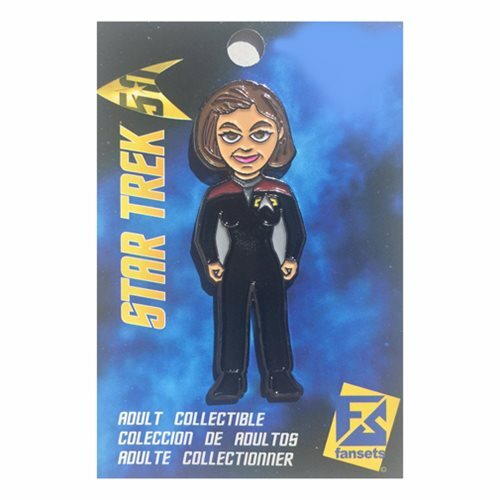 The Star Trek Janeway Pin measures approximately 2-inches tall.